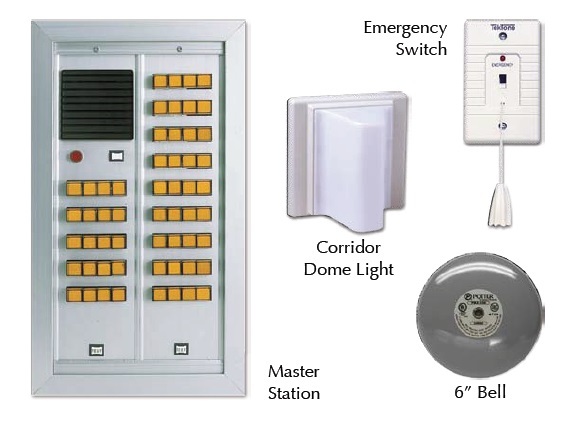 The CM800 Emergency Call System is a modular annunciator system suitable for emergency call, security alarm, and equipment monitoring. The system visually and audibly annunciates mechanically latched dry contact switches for apartment buildings, schools, court rooms, etc. The annunciators may be used as remote extensions for other system, or build a stand-alone emergency call system by adding pull-cord or push-button switches. The modular annunciator panels are constructed of extruded aluminum, may be flush, surface or desk mounted. Configurations are available with as few as 4 to more than 100 illuminated indicator lamps. illuminated indicator lamps. Markings are up to 4 characters long, and protected by removable lenses.